Home / Sin categoría / Great news from Eurosuccess!! Eurosuccess has informed all the partners that the preliminary version of our Intellectual Output 2 – “Online career aptitude test for students” in all the partner languages (Greek, Turkish, Polish and Spanish) is ready for internal testing. 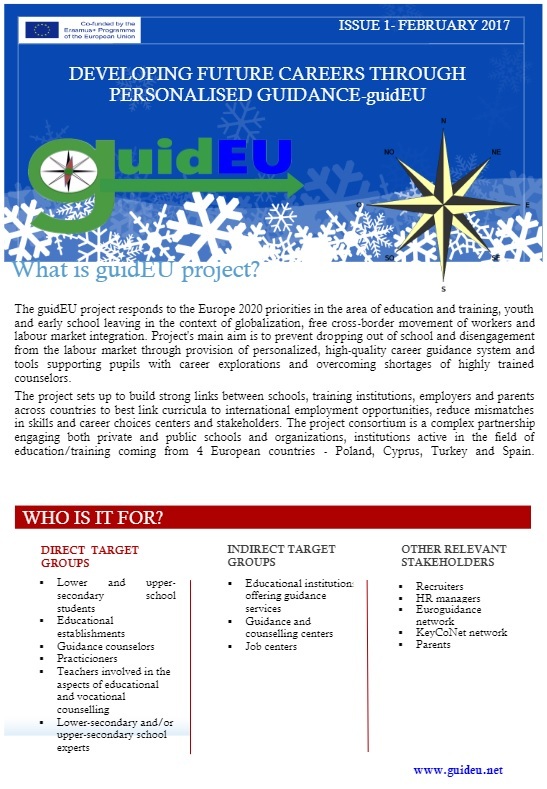 They sent a link where all the partners can access as well as an evaluation document that will be used as guidance for the internal testers of the guidEU ICT tool. All the partners must send their feedback by April 12.